Typically the engine model number will be located on the engine shroud or engine block. 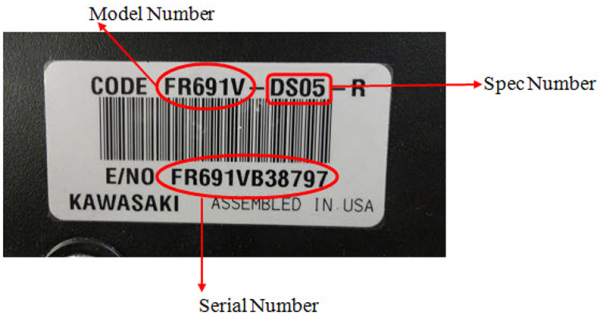 Below is what a typical Kawasaki engine model tag looks like. Once you have located your engine Make-Model-Type code enter it in your owner's manual for future reference. With these numbers our parts department can identify and order any part on the engine.